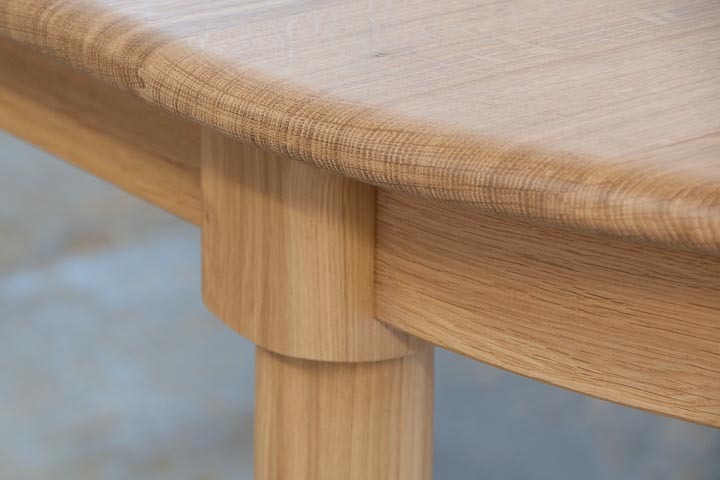 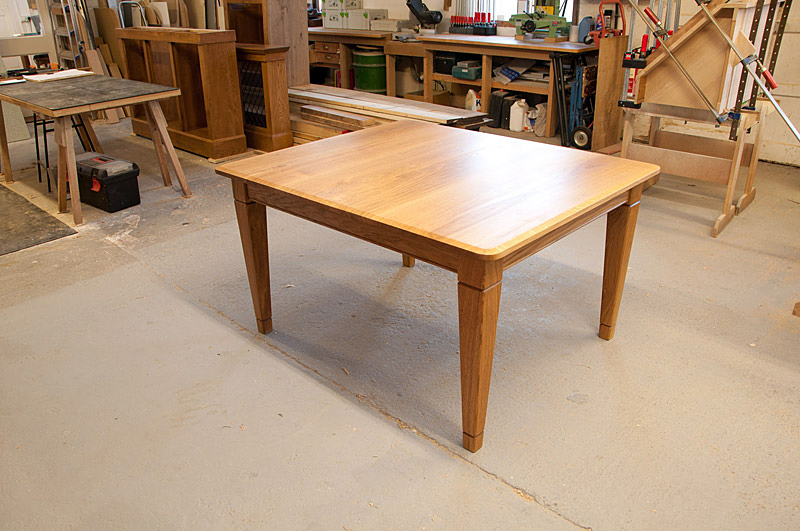 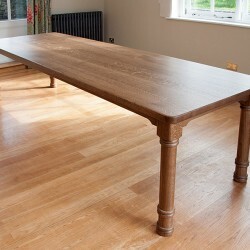 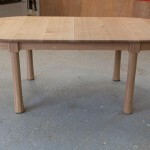 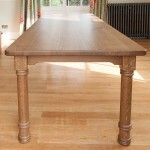 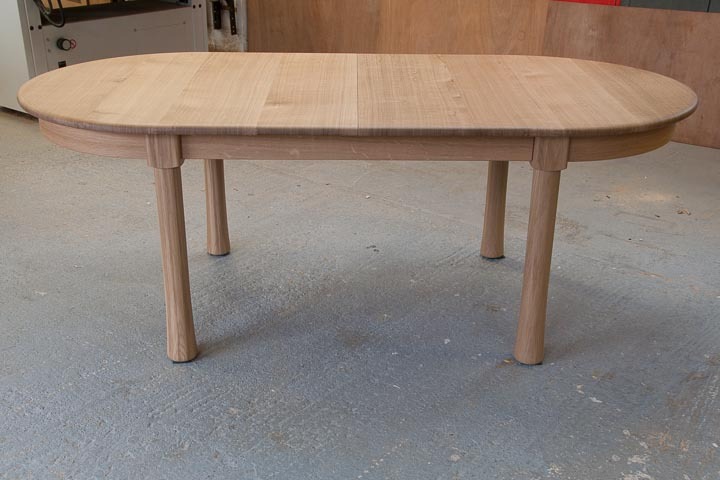 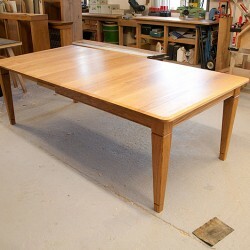 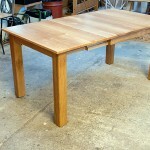 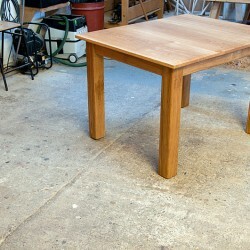 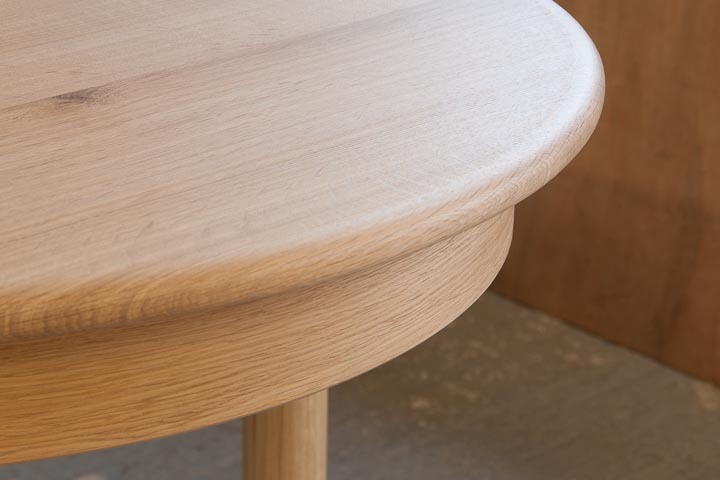 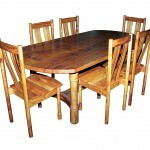 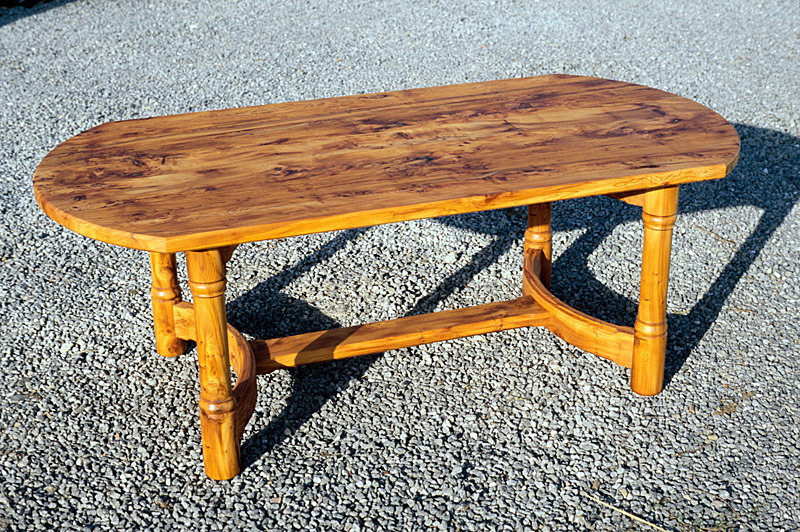 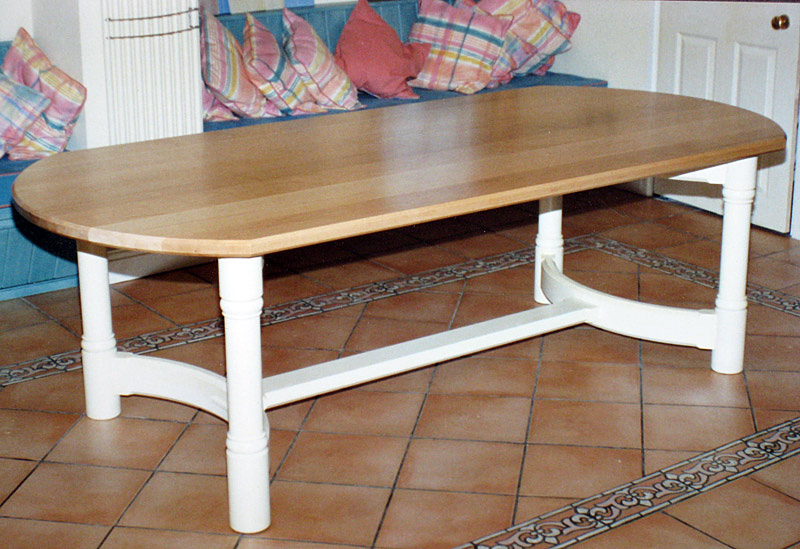 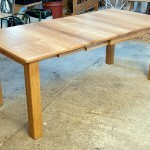 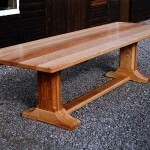 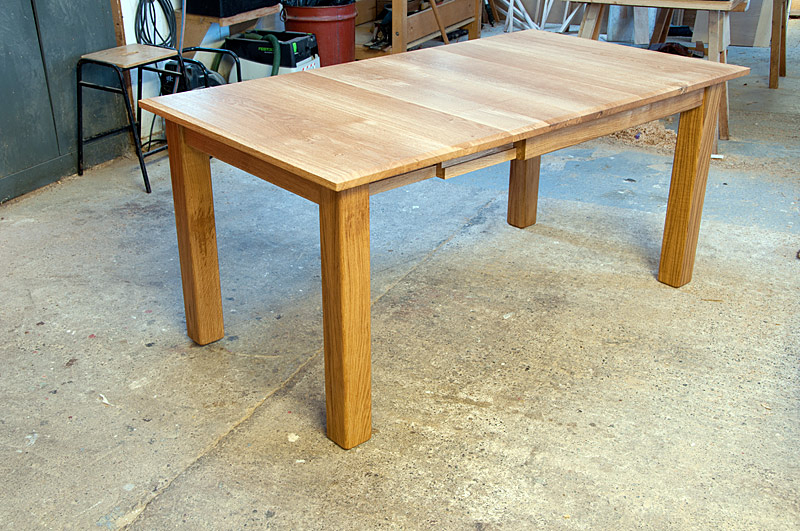 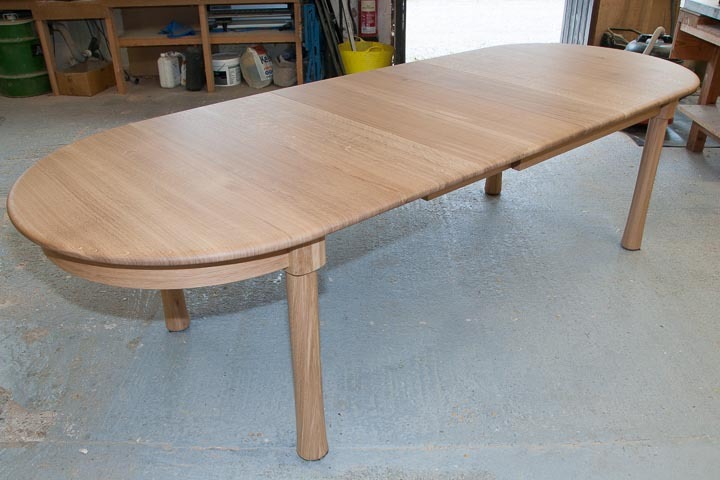 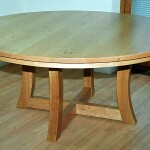 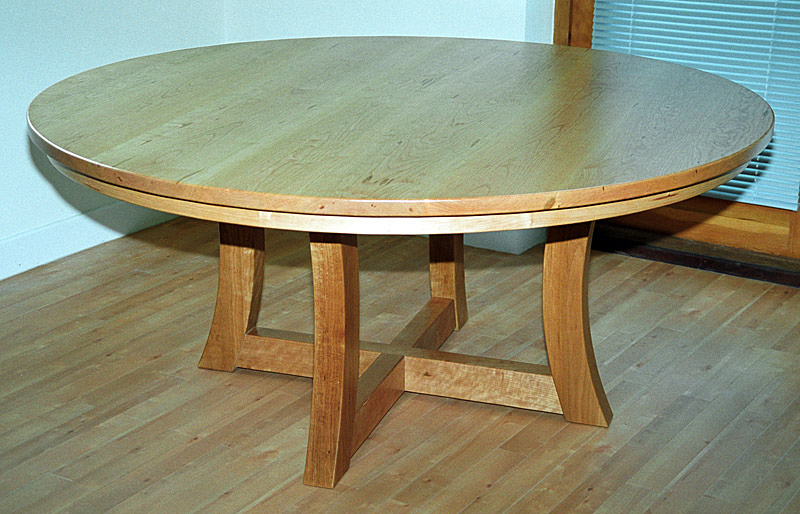 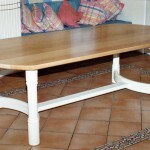 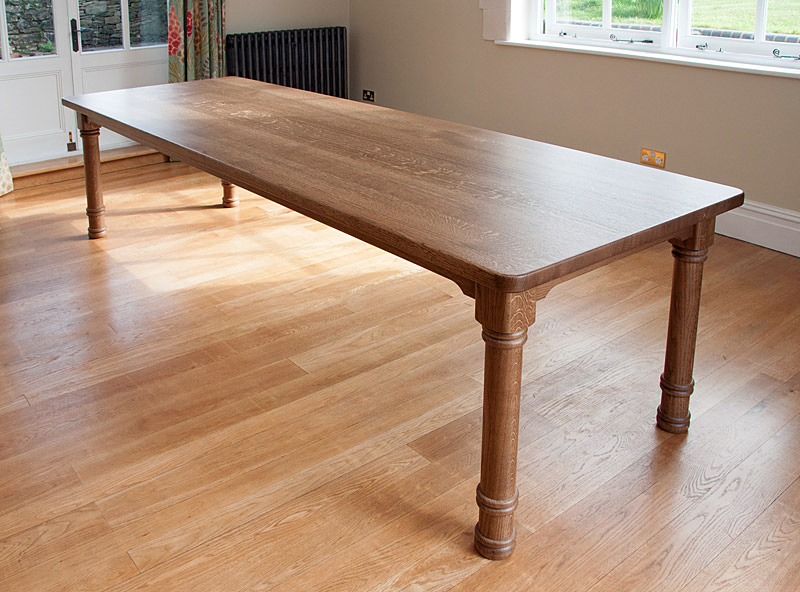 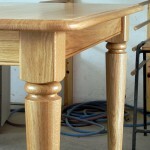 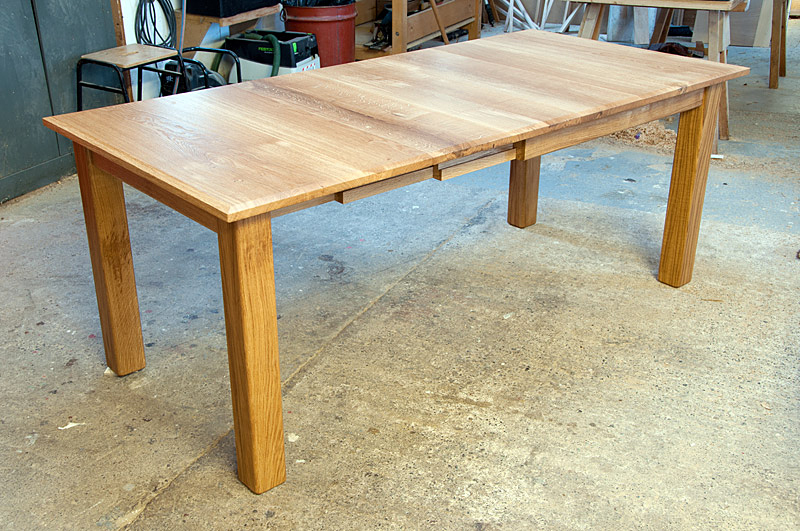 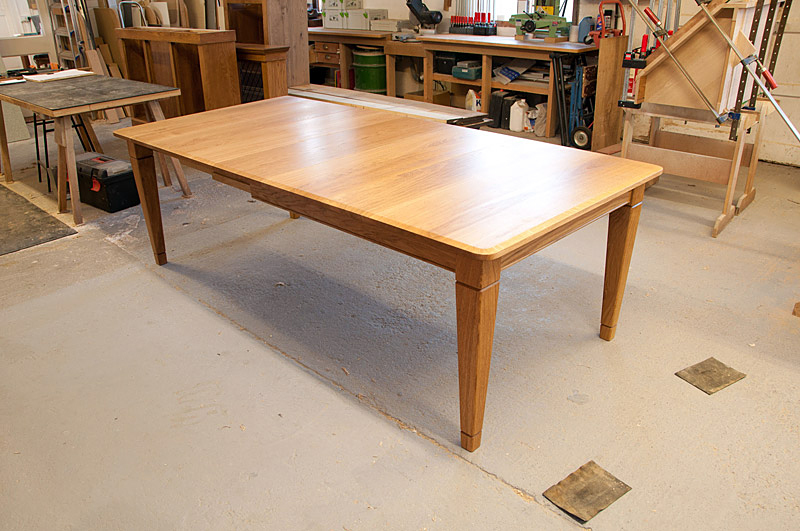 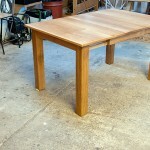 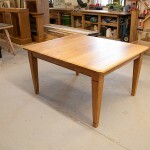 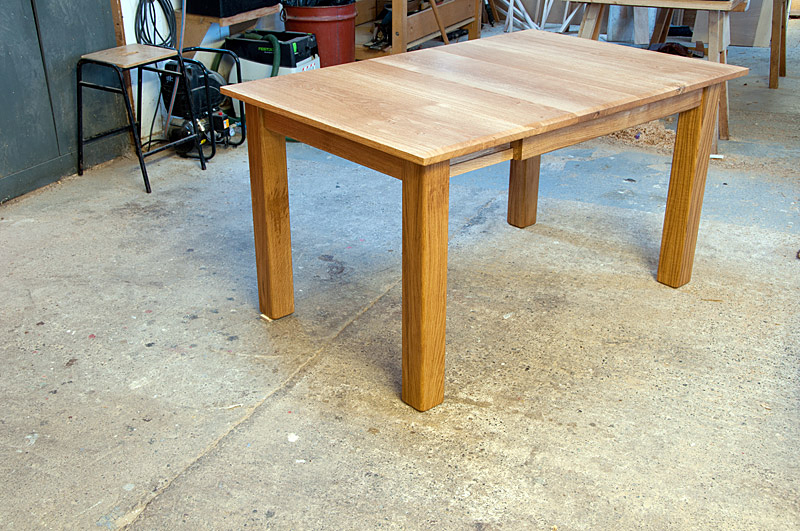 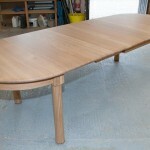 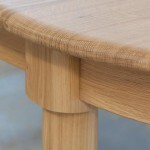 Extending oak dining table with rounded ends, 2m long x 1m wide, extending to 2.8m long. 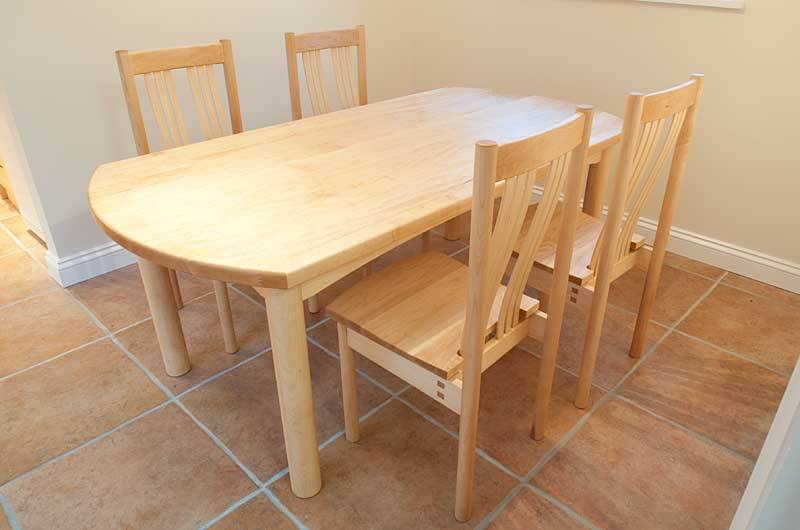 Comfortably seats 10 people when fully extended, 3 on each side and 2 at each end. 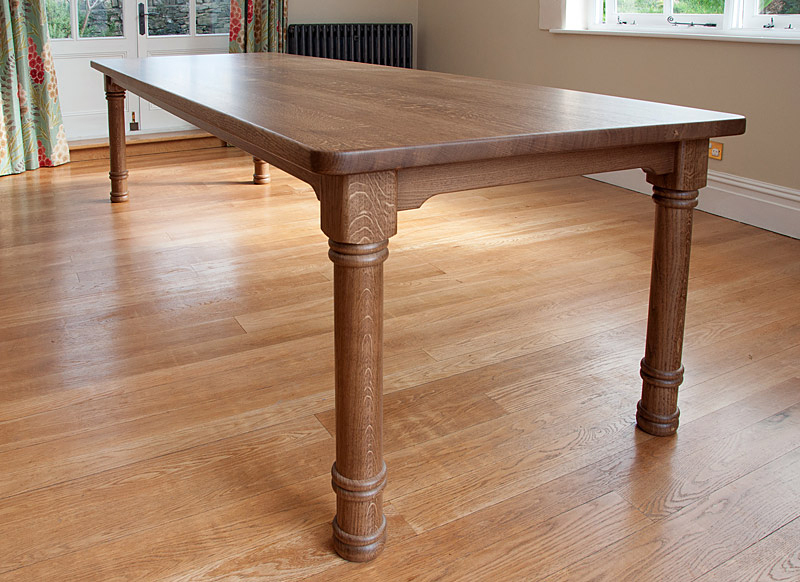 Made in French oak with a “Natural Wood” lacquer, which keep the timber very light and natural looking whilst giving a durable tough finish. 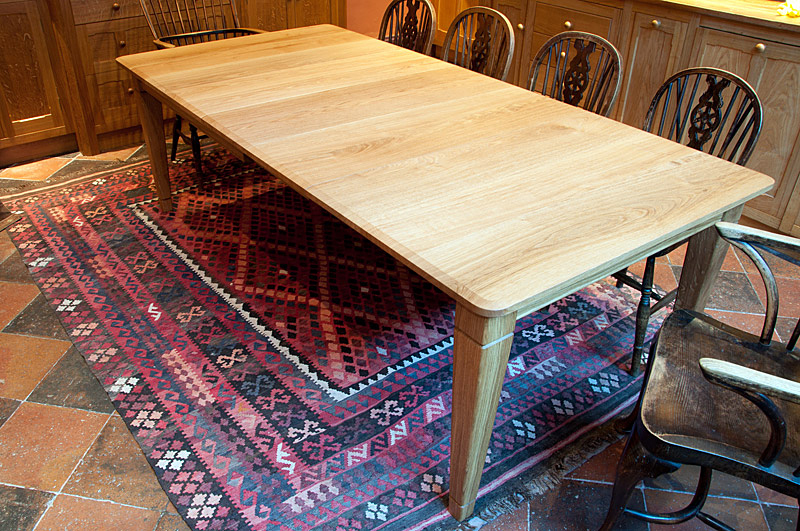 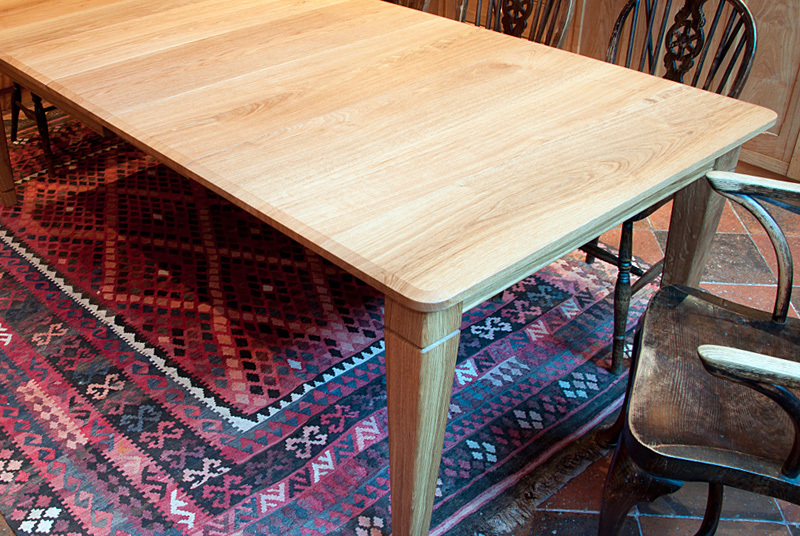 This large Oak table is 3000mm x 1000mm. 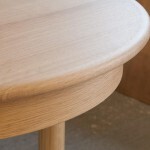 It has a lightly stained and lacquered finish and gun barrel legs. 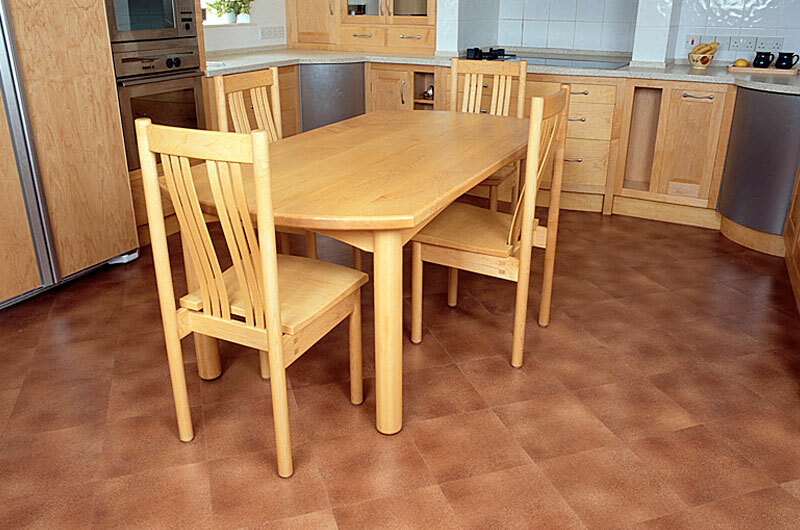 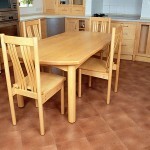 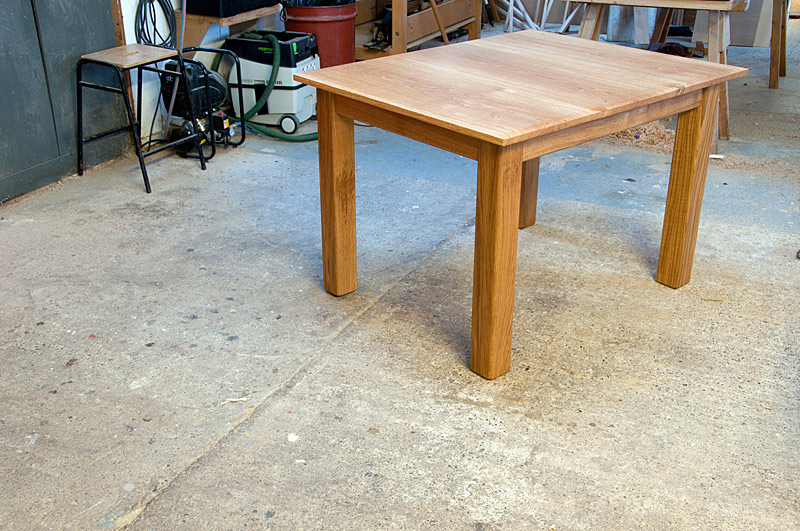 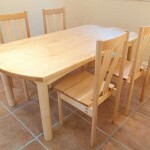 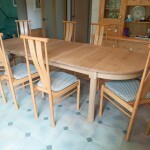 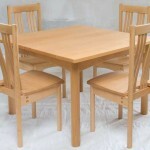 Extending table in solid Oak 2300mm x 1100mm. 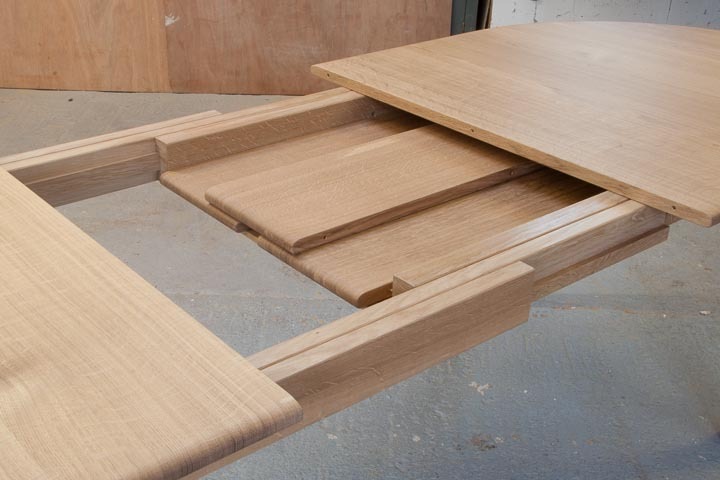 Leaves are stored within the table and the table extends by means of telescopic dovetailed oak slides. 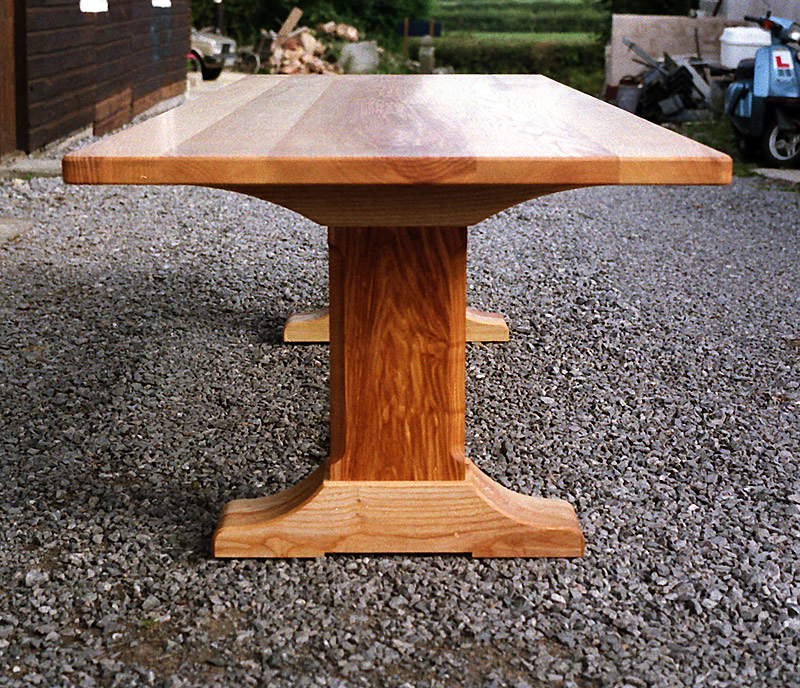 A selection of various hand made tables in different woods. 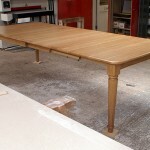 Each project designed specifically to the requirements of the client. 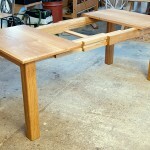 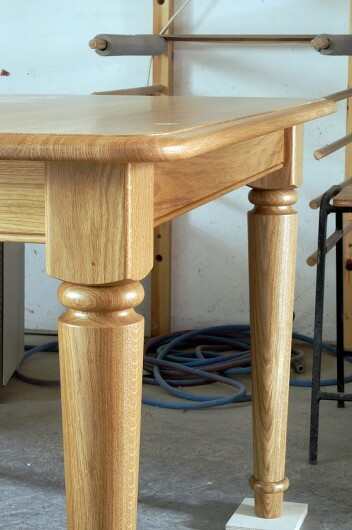 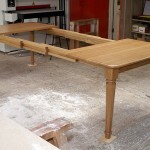 Extending oak table. 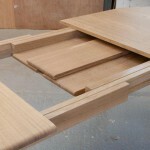 The table extends by means of telescopic dovetailed sliding frames. 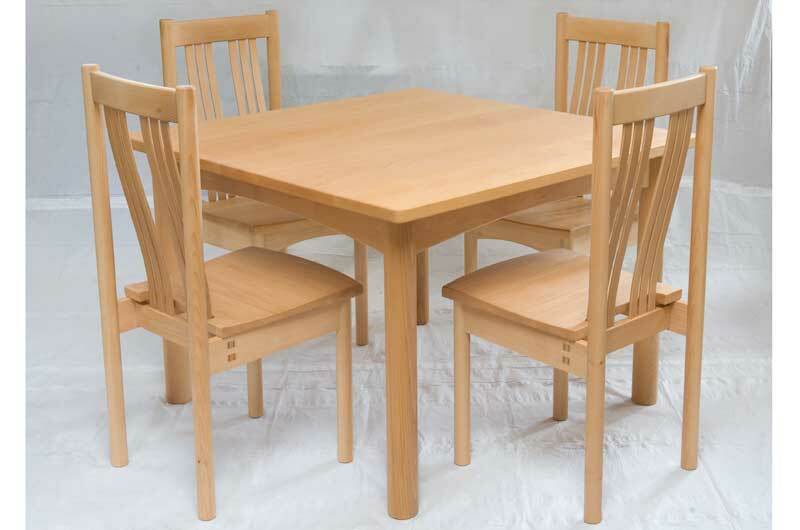 The 4 extra leaves need to be stored separately from the table. 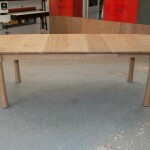 The table is 1150mm wide x 1400mm long extending to 2750mm long. 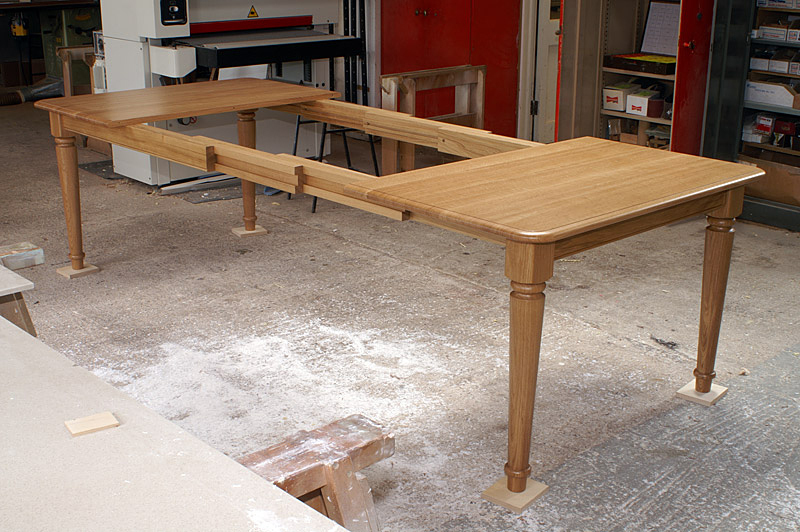 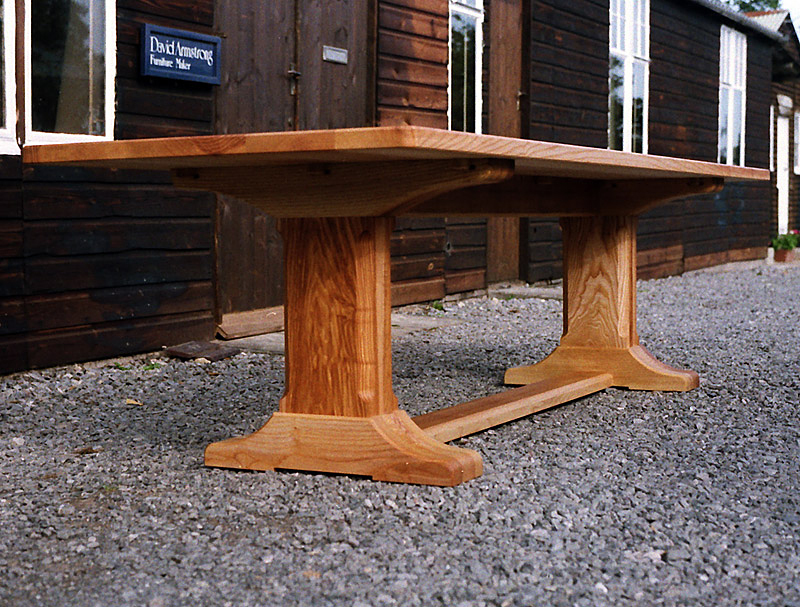 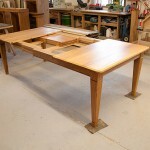 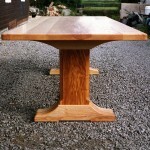 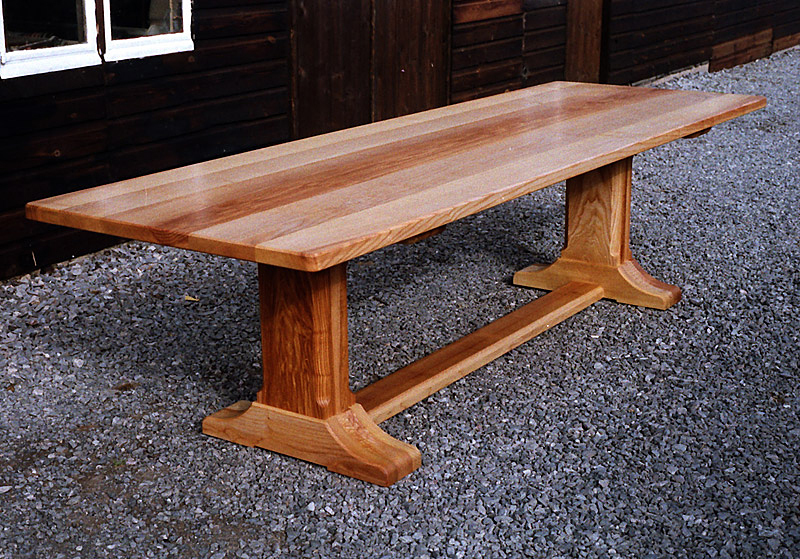 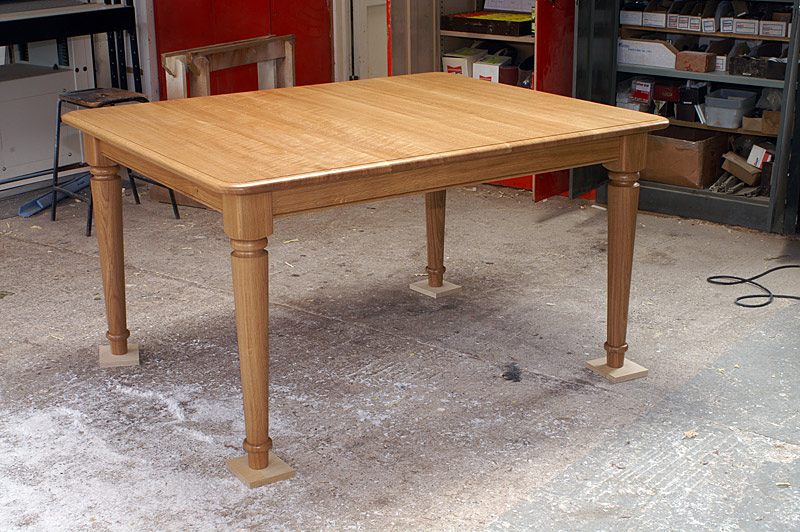 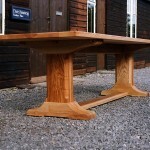 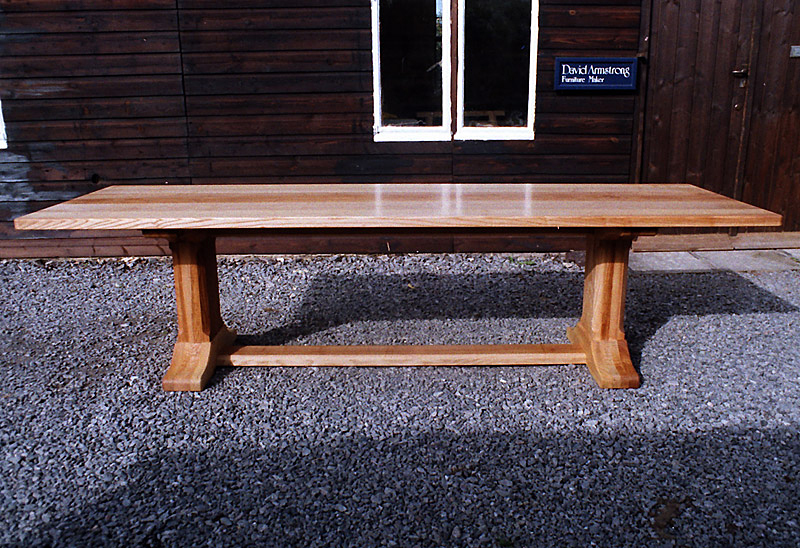 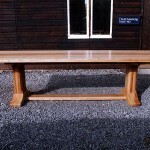 A fabulous commission for a 10 seater refectory table in solid English Ash. 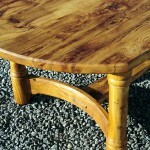 There is quite a lot of “olive’ colour in the timber which is deepened by the linseed oil finish. 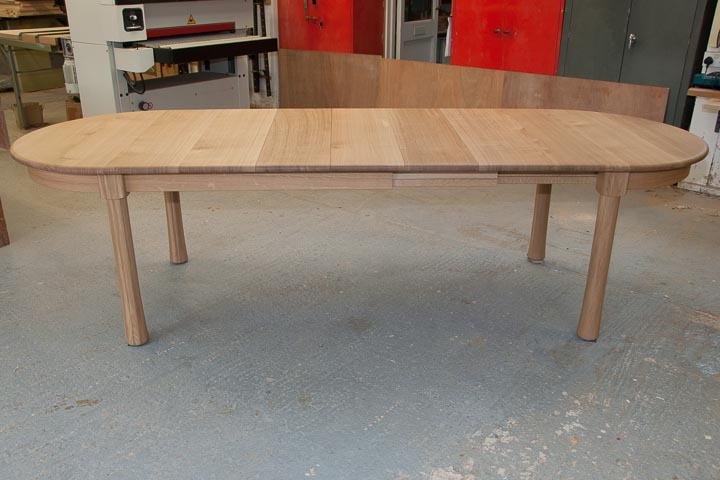 The table is 2800mm long x 920mm wide. 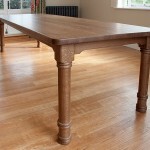 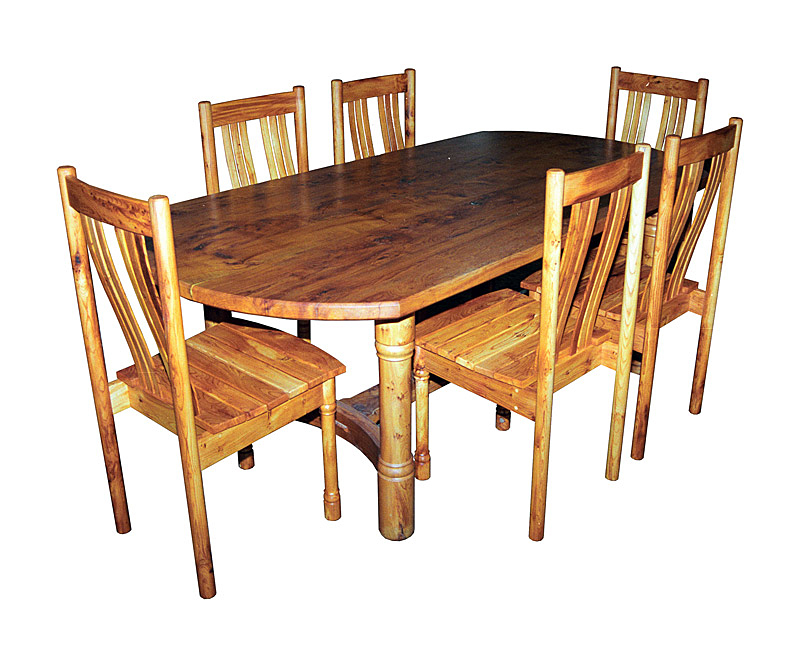 Extending table in solid Oak 1900mm x 900mm. 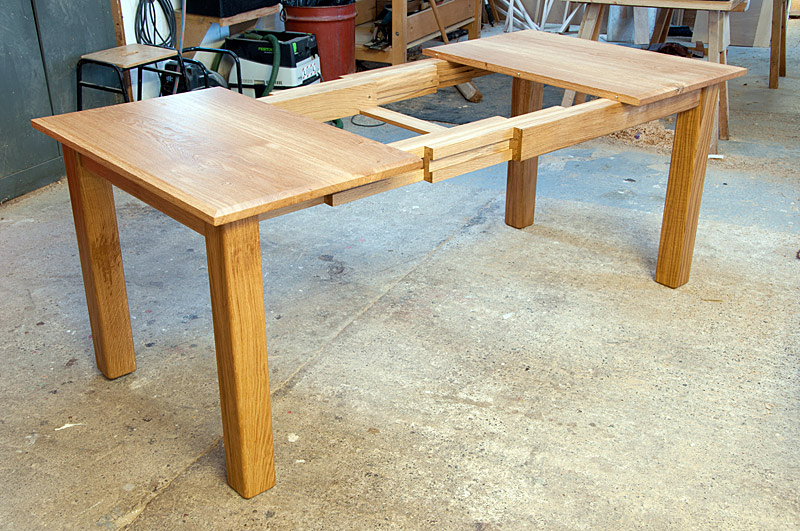 Leaves are stored within the table and the table extends by means of telescopic dovetailed oak slides. 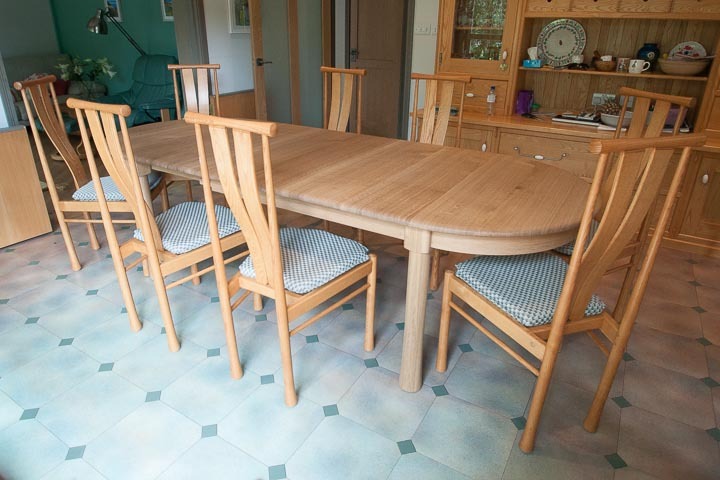 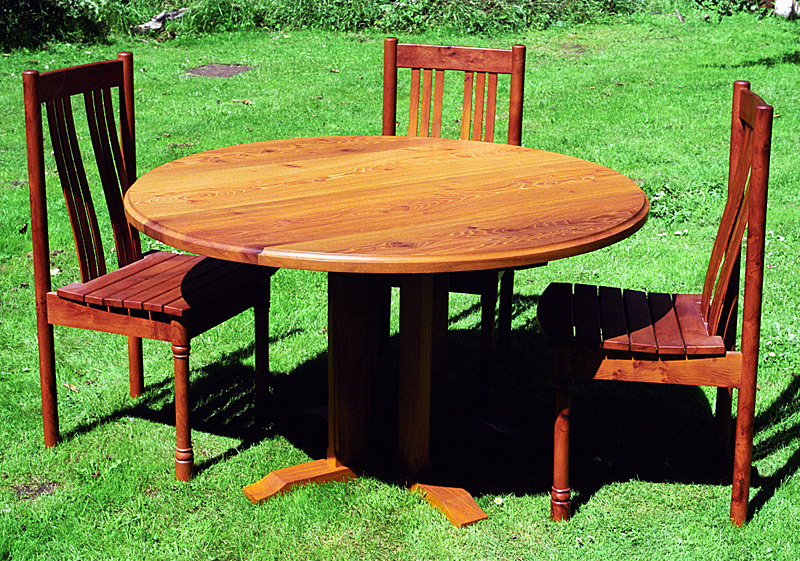 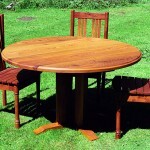 This table and chairs was designed for a local farmer from a large Yewtree, which he had felled and had planked. 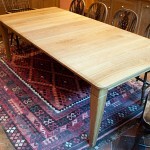 The table is 2000mm long x 1000mm wide and is finished with linseed oil. 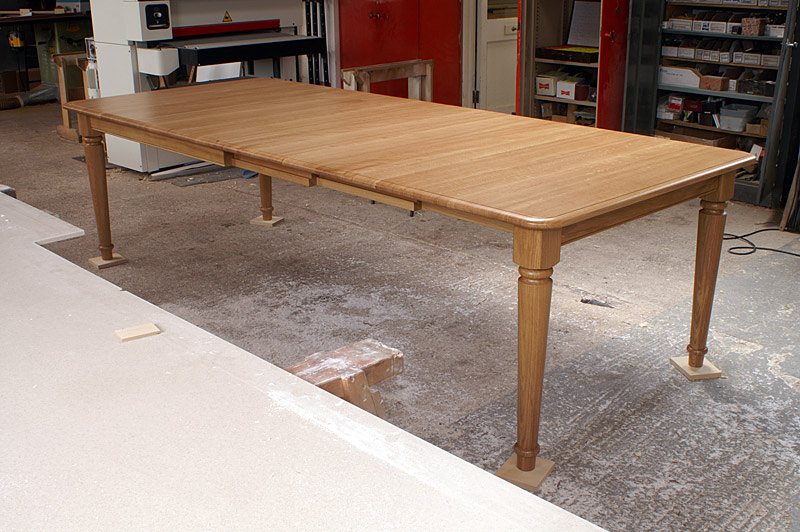 Refectory tables, extending tables, round tables, nests of tables, coffee tables, console tables and kitchen tables, if there’s a specific bespoke table that you are looking for we can design and make it for you. 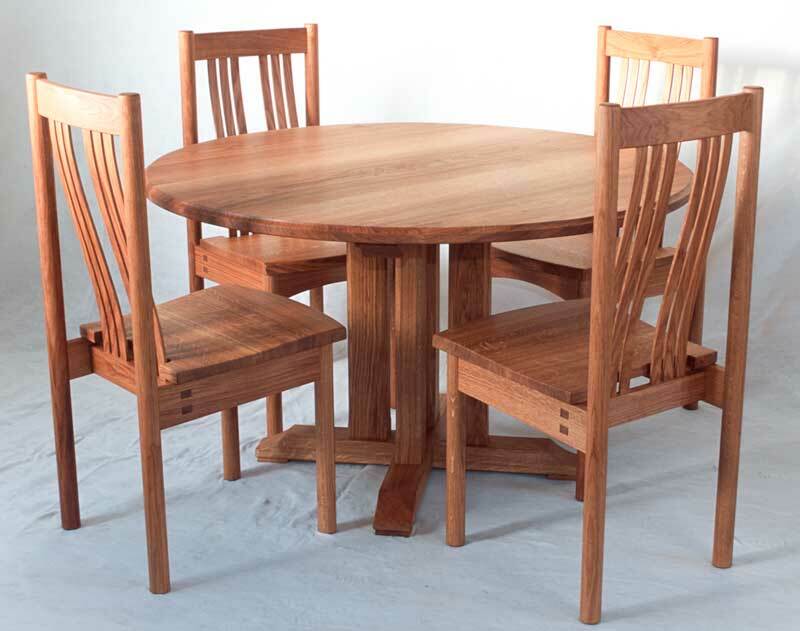 We enjoy a challenge – for example, an extending table in Oak to seat 10 people or a 5′ round table with a pedestal base. 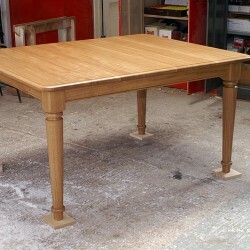 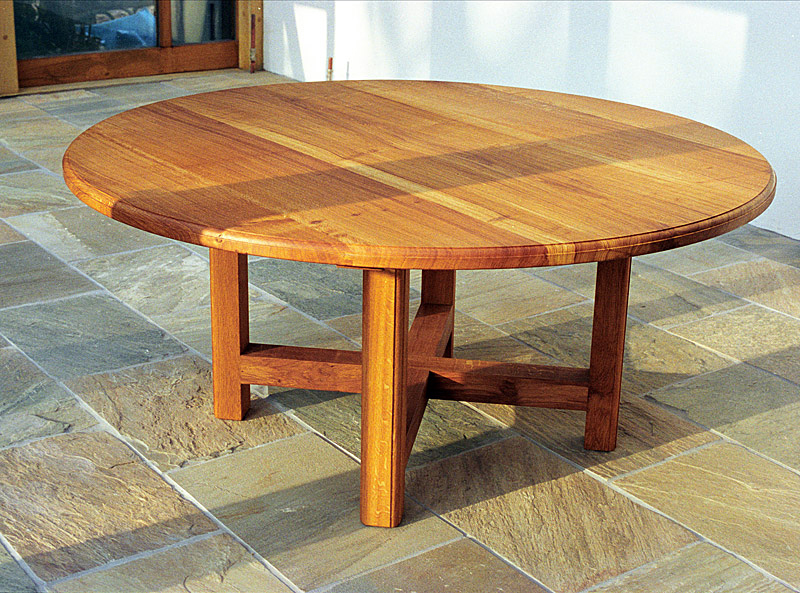 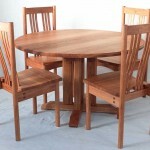 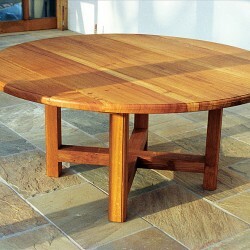 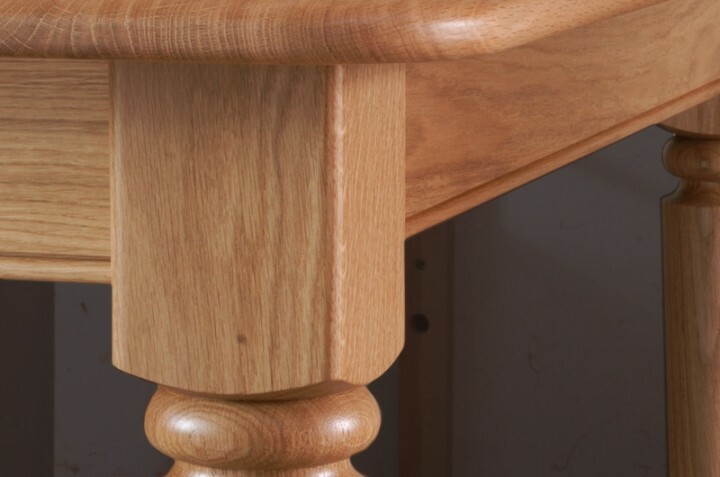 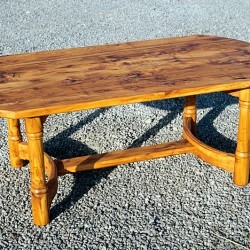 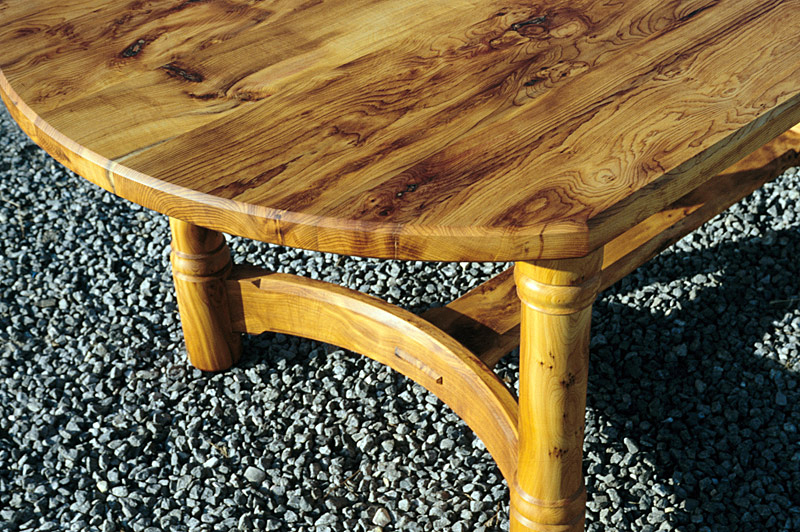 We will design a table to your specifications and in a style to suit your home. A handmade bespoke table is the centrepiece of happy occasions and a thing of beauty for a lifetime.